The centerpieces have been dismantled, tablecloths pulled away, booths taken down and attendees suitcases are being repacked with gifts and new books and knick knacks, making them hard to zipper and rearrange. It's kind of like the morning after Christmas, or Thanksgiving...hours of preparation go into the details of the event ahead of time and then before you know it the whole thing is...over. Four hundred women are on their way home this morning. Back to their husbands and children, to their homes and the tasks that lay before them. It was a wonderful weekend, it's nice to get away and be refilled spiritually and as a writer. It's even nicer to come...home. 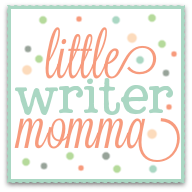 In one session I attended yesterday given by a sweet soul named Kat (and titled "Blogging as a Ministry, How to Change the World During Naptime) I was reminded to "Always be a better mother than you are a writer." Always be a better mother than you are a writer. That's what I love about these conferences, where women talk about writing and blogging and the impact it can have on the world (and if you heard some of the stories of the ways these women have used social media to impact the world you would be awed), but they are also moms and wives and church members and, most importantly daughters of God. And, at the end of the day the framework we function from as Christian women helps to form our lives and reminds us about the things that really matter...first things first. So here I am about to head home and I'm full of inspiration and anticipation. 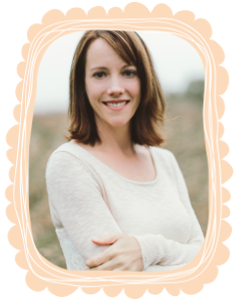 I'm inspired to continue to write and blog and share my honest heart with all of you and hope that in the process you'll share yours with me. I'm anticipating the excited shrieks of "Mommy" as my girls run to me when I walk in the door this afternoon. I will hug them. I have gifts for them. I will hug my husband. We hope to carve pumpkins tonight and bake cookies. I am already thinking about parent teacher conferences this week and meal planning. I am hoping to begin to carve out more morning time for writing and planning my day...hoping. But also, in some strange way, at greater peace with the idea that in this season of life that is not always possible and that that's o.k too. An art teacher at a school I once worked at told me something I will never forget. She was a mom to two older children when we spoke, but remembered back to her days at home with her little ones. Days that were filled with joy, but also a restlessness on her part at times...a creative restlessness. She looked at my intently and said, "My children were the best work I ever created." I want to be able to look at a young momma 20 years from now and speak those words to her heart as well. THANK YOU to the team of women (and men!) responsible for all of the planning and details and offering a sweet space for all of us women to come and be inspired. And to Jessica Heights and Sarah Mae who, somehow, in the busyness of their own lives, managed to create space for our lives. Impact for God does not occur when we are pursuing impact, but when we are pursuing God. Great, impactful writing flows from a greatly impacted heart. God calls us to muddied living...A clean heart, but dirty hands. We need to rest in the middle of the undone. We tend to use rest as a reward, but rest is a choice. When you want to compare yourself to someone, compare yourself to the you when you started. [When writing] You have to bury your fear in faith, otherwise you bury your talents in fear. A call from God is about relationship and proximity. He desires closeness. God din't give Abraham a map, he gave him a relationship. Excellent thoughts. It was so so very fun to be with you. Blog on girl! Thanks Debi! I wish you lived closer-- you're so much fun to be around! 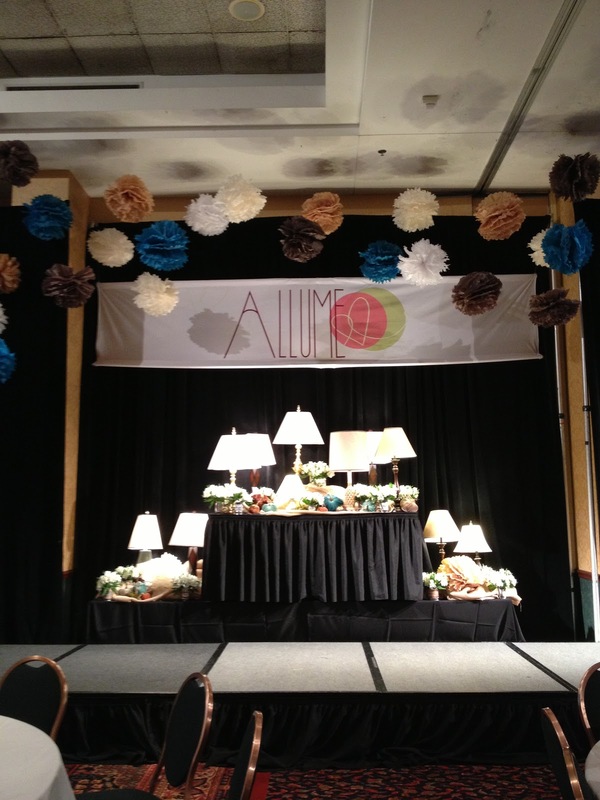 When you said at the beginning the centerpieces were all dismantled I have to say I blame you for that. You know what I'm talking about too - oh, kindle-fire-owning Little Writer Momma! It was so fun to be with you this weekend. I count myself very blessed to have you as a friend. 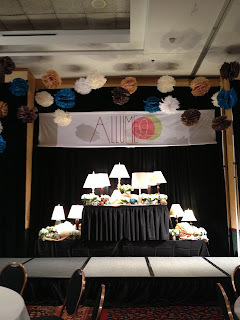 Visiting from the Allume linkup - thanks for sharing your thoughts here about the Allume conference. I was not there, but have greatly appreciated all the tweets, and all the sharing about how God impacted lives. And I love all the quotes - thanks much for sharing yours. Will copy and paste them into my journal - thanks! Thanks Cherry! Hopefully you'll make it next year! Though I probably won't be there because we're expecting in the Spring! Maybe you can take notes and I'll paste yours into my journal next October!! Thanks for stopping by...all of this writing/life is such a journey in balance, responsibility, but most importantly listening to God...the weekend reminded me of that and for that I am grateful. What a great recap. I hope to be able to go to the conference next year. I love reading what everyone is taking home. These are great truths and practical things. Thanks for sharing! Thank you for sharing some of your experience! Love, love, love the last quote from Ann! Visiting from the Allume link up. Wow, Lis. I feel a little like I was there. Must have been great, and thanks for sharing the quotes. Reminds me of our little coffee date in GR a few weeks ago, and also just how much I love our friendship. Hugs for you and your crew! Missing all of you! Can't wait to chat and catch up on all your insights from these last two conferences. Ah sweet Lizzie-- you too! I want to hear more about all of that life coaching stuff btw! 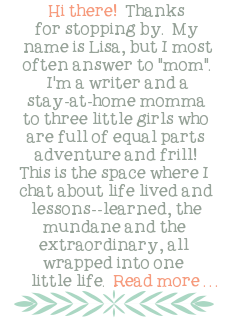 Loved reading this, Lisa. I have not even had a moment to catch my breath, but I am so looking forward to reading all of my notes. What an incredible weekend. I am so thrilled to have met you in person and look forward to getting to know you more and more as we serve our great God by each other's side! Much love! I'm here from the Allume linkup! Thank you for this recap of your weekend. It sounds like a wonderful conference. This was a beautiful way to share some of what inspired you there. Wonderful Lisa! So nice to meet you, what an incredible weekend! I know we will have lots to process in the days and weeks to come. I pray the busyness and weariness of the weekend fade and the inspiration remains as you love on your family today. Great reminders from the weekend. Thank you for sharing the quotes. May I enter my week, living out all God showed me at Allume. You're Going Where? For What? With Whom?! Finding Time to Write...Suggestions Please!